Radical abolitionist and freedom-fighter John Brown inspired literary America to confrontation during his short but dramatic career as a public figure in antebellum America. Emerging from obscurity during the violent struggle to determine how Kansas would enter the Union in 1856, John Brown captured the imagination of the most prominent Eastern literary figures following his dramatic, though failed raid on Harper’s Ferry. 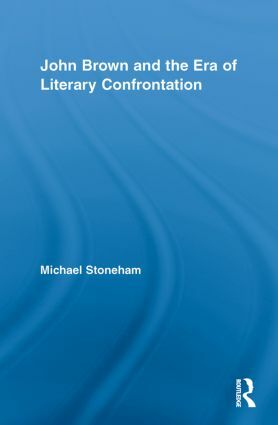 Impressed by Brown’s forthright defense of his attempt to initiate the end of slavery, Whittier, Whitman, Melville, Longfellow, and Howells responded to the abolitionist with poetic tributes suggesting that Brown was a liberating hero, while Emerson and Thoreau celebrated his effort to inspire the nation to a new moral awareness of the common humanity of all men. Responses, however, were not uniform, as these and other figures debated the merits and meanings of Brown’s actions. This exceptional book sheds new light on how John Brown inspired America’s most significant intellects to take a public stand against the inertia of moral compromise and social degeneracy, bringing the nation to the brink of civil war.